For more than 8 decades, The Tamburitzans have traveled the country performing a vibrant stage show featuring exciting music, songs, dances and costumes of international cultures. On Sunday, January 27, 2019, the world-renowned group will bring its new stage live show Prism: Full Spectrum Culture to The Palace Theatre. We have all seen examples of what happens to light when it passes through a prism. Visible light is separated into its components and we see the full spectrum of color. Their show this year is a metaphor for a prism – it takes “international culture” and separates it into the vivid and rich hues of heritages from around the globe. They believe that one culture magnifies the beauty of another – as we celebrate and embrace the diversity that they represent. Through music, song and dance, “Prism – Full Spectrum Culture” transports audiences to the heart of a dozen countries and cultures, including Armenia, Bulgaria, Croatia, Cuba, Dominican Republic, Greece, Ireland, Macedonia, Romania, Serbia, Slovenia and Ukraine. 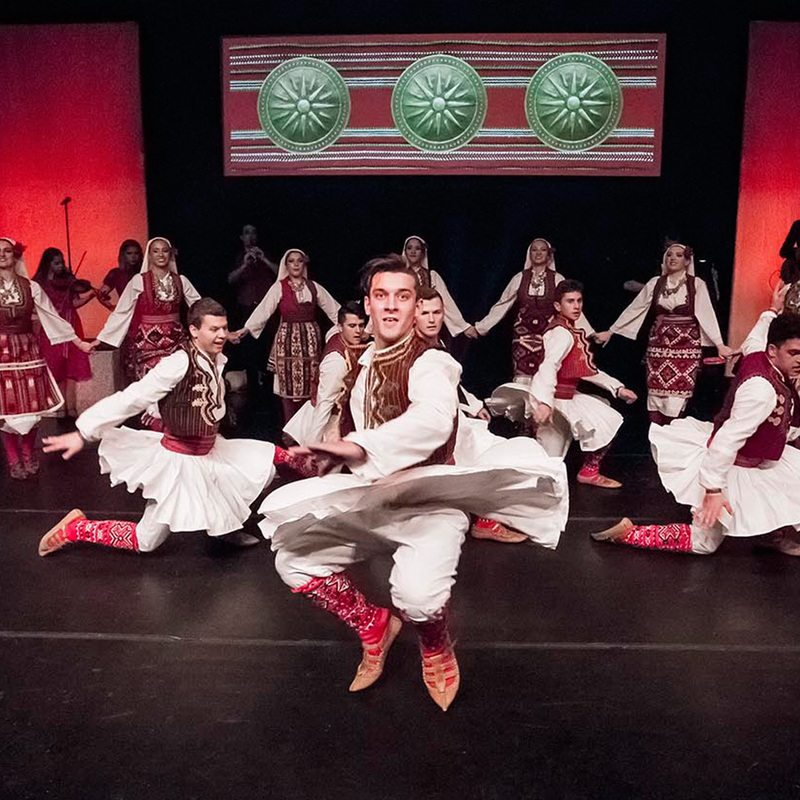 The Tamburitzans – the successor troupe to the Duquesne University Tamburitzans – is America’s longest-running live stage show! Since its inception in 1937, the ensemble has performed more than 8,000 shows seen by millions of people around the world! The ensemble features 29 talented young artists from the United States and Europe who are enrolled in a Pittsburgh-area college. And for 82 consecutive years, the Tamburitzans have presented a new production each season. Since its inception in 1937, the company’s dazzling repertoire has reflected the traditions and influences of more than 100 nationalities. The group has performed in 48 states and 15 countries at iconic locations like Lincoln Center, Kennedy Center and Disney World. Led by Executive Director Robert Vukic and Artistic Director George Kresovich, The Tamburitzans are supported by the Pittsburgh International Folk Arts Institute (PIFAI), a 501(c)(3) non-profit corporation.